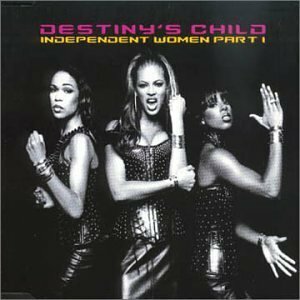 It was written and produced by Beyoncé Knowles, Sam Barnes, Jean-Claude Olivier and Cory Rooney for the group's third studio album, Survivor (2001), although the song first appeared on the soundtrack to the 2000 film adaption of Charlie's Angels. Originally, part two of the song was the actual song and part one was known as the Pasadena remix, but it was chosen in favor of the original and was dubbed part one. Released as both the soundtrack's and album's leading single in fall 2000, the song held the number one spot on the Billboard Hot 100 chart for eleven consecutive weeks from November 2000 to February 2001. Although, for the United Kingdom, it was released on the same day, with both Part I and Part II counting as the song release. The music video was directed by Francis Lawrence. At the end, the women are greeted by the ever-mysterious "Charlie".